Below find what I call an "elegy" for my Western classmate, Doug Hellwig. I know that his widow, Loretta, tried to give out as much information as she had about Doug's combat tour in Vietnam and his career at WAL and DAL, but I was moved to put it into some kind of context. Attached is the word version and a photo of Doug at Bien Hoa forwarded by Loretta that I cropped. Feel free to use it anyway you like. Permission to use the photo was already granted by Loretta. My Western Airlines classmate, Doug Hellwig, died on July 16 at the age of 71. As far as I know, he was the first of our group of eighteen to “fly west.” On May 9, 1972 we formed the second full class that Western hired after the industry-wide Great Furlough of 1969-72. Although nearly all of us were veterans of the Vietnam War, we were lucky to have gotten airline flying jobs at all. The big hiring boom had been in 1965-68, and consequently, our careers over the years progressed very slowly as it would for most of the veterans of that war. At first, we had high hopes. We flew with pilots who had become captains in less than four years. Some of them had actually been under thirty years old. But for us, Seniority was to be a cruel god, and it would take eighteen or twenty years to get into the left seat of the most junior aircraft like the Boeing 737. It was probably a good thing that so many of us like Doug loved the pure art required of up-and-down short-haul flying. One of the ironies of the airline business is that, unlike military squadrons, we never got to fly with each other. We didn’t get to know each other’s stories, let alone each other’s families. We knew Doug as our good-looking contemporary with a ready smile and quiet sense of humor but who never called attention to himself. So, it saddens me to learn only lately just how compelling Doug’s own story had been. Erwin Douglas Hellwig was the holder of two Silver Star Medals, the nation’s third highest award for gallantry. Like some of us, he had had a checkered academic experience. He started high school in Bakersfield in the San Joaquin Valley but actually graduated from the Capitol Page School at the Library of Congress in Washington, D.C. where students served as messengers for congressmen, senators, and Supreme Court justices. He attended New Mexico Military Institute, the University of North Carolina, and in 1965 graduated from the University of California at Santa Barbara with a degree in economics. This was followed by a commission and pilot training in the U.S. Air Force. At that point, the sausage factory for pilots in Southeast Asia was rapidly cranking up to full speed. In 1970 and 1971, Doug was flying twin-turboprop North American OV-10A Broncos doing visual reconnaissance and forward air control as call-sign “Rustic 14” with the 19th Tactical Air Support Squadron out of Bien Hoa near Saigon. Most of his missions were highly classified because—as had been the case in neighboring Laos—we were involved in undeclared combat operations in Cambodia in an attempt to shut down the strategically vital Ho Chi Minh Trail while also supporting what was then a friendly Cambodian regime. Friendly “troops-in-contact” with the enemy was the order of the day. The challenges were many. Maps were copies from French colonial days. There were no navigation aids. Communications with Cambodian forces on the ground were via hastily recruited non-rated officers and enlisted men who could speak French and were not afraid to ride on the Bronco’s rear ejection seat. And, as anyone who flew missions over the route will testify, it was heavily defended by a variety of anti-aircraft weaponry. The Air Force would eventually lose 63 of its some 157 OV-10s in the theater, 47 of them in combat. Moreover, the underpowered Bronco—surely the internally noisiest and worst-ventilated turbine aircraft of all time in my opinion— was hardly ideal for the mission. Yet Doug and his fellow Rustics carried on in appalling conditions. Doug managed to get his battle-damaged Bronco home on a number of occasions. Apart from vaguely worded unit citations, the Rustics went intentionally unheralded. I don’t know how many missions Doug flew, but it was probably on the order of several hundred. Eight-leg days on the prairies and in the mountains in an early Basic 737 were a piece of cake in comparison. And so, another Vietnam veteran has left us. Our tribe diminishes. I am proud to tell a small part of the story about Captain Doug Hellwig. But, there are many such stories. We should remember them all. ---written by Retired Captain Charlie Quilter, Colonel, U.S. Marines (Ret), PhD, who suggests reading “Call Sign Rustic: The Secret Air War over Cambodia, 1970-1973” by Richard Wood/Rustic 11, (Smithsonian, 2002). Notification with the passing of USAF veteran retired WA/DL pilot Captain Erwin Douglas Hellwig , age 70. 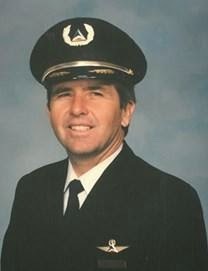 Captain Hellwig joined Western Airlines 05-09-1972 and retired with Delta Air Lines in 2002 as is noted in his obituary. Erwin Douglas Hellwig passed away on July 16, 2014. He was born on October 2, 1943 in Gastonia, North Carolina to Ruth and Erwin Hellwig. He attended Bakersfield California High School and graduated from Capitol Page School, June of 1961. Doug then attended New Mexico Military Institute from 1961-1963; University Chapel Hill North Carolina from 1963-1964; and graduated from University of California Santa Barbara 1965 with a BA in Economics. Doug began his military career in 1966. 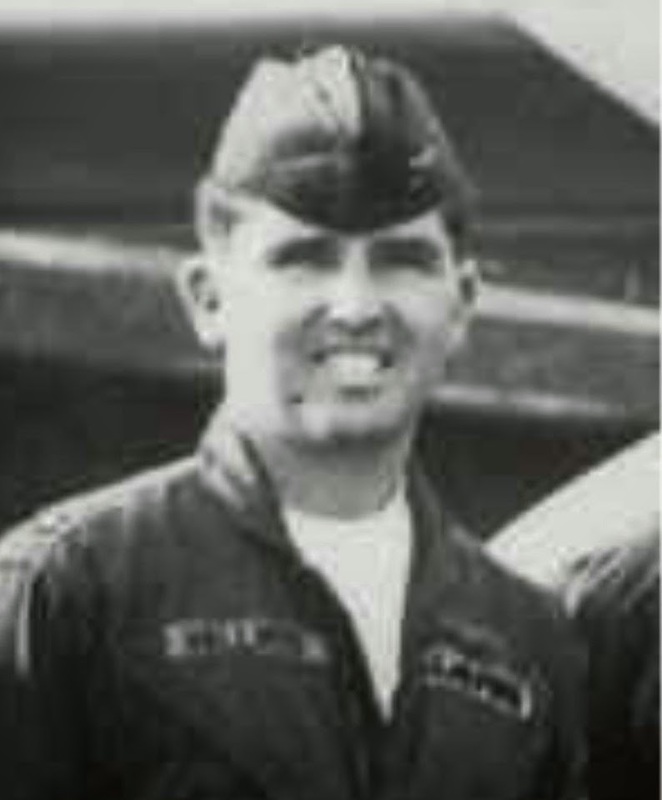 He served in the U.S. Air Force as a Captain and a pilot proudly and honorably, flying combat missions from August of 1966 through February of 1972. He served in the Republic of Vietnam and Cambodia with the original OV-10 Rustics; call sign Rustic 14, from March of 1970 to March of 1971. Among many medals that he received were two Silver Stars and two Distinguished Flying Crosses for bravery while completing his missions under fire and safely landing his aircraft. After his service, Doug became a Captain with Western Airlines and Delta Airlines from May of 1972 through 2002; flying a Boeing 737 / MD88. He was courageous and his humor and spirit will be missed by all who knew him. Doug is survived by his beloved wife, Loretta; sister, Janet Kristen Hellwig; daughter, Kristen Hellwig; and three adopted children: Brian, Dian, and Mike. He will be laid to rest privately at the Southern Nevada Veterans Memorial Cemetery located at 1900 Veterans Memorial Drive in Boulder City, Nevada.